Hilton has been working in the shearing industry since 1989 (26 years’ experience). He started his career as a shedhand and progressed to shearing by 1990. In 2008, Hilton made the transition to shearing contractor. In 1993 Hilton began competing in shearing competitions. He represented the state of New South Wales and Australia from 1997 -2003. In 2001 and 2002 he was recognised as the Australian champion. 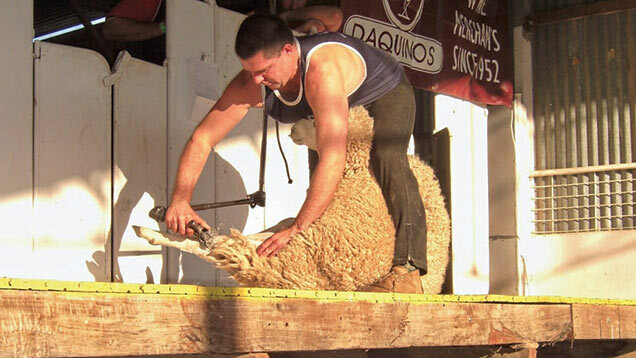 1999 – World record holder for the most merino ewes shorn in an 8 hour day (351 sheep). He broke this record by shearing 411 sheep in 2001. 2008 – World record holder shearing the fastest cross bred lamb. 2010 – World record holder shearing the faster cross bred ewe. This record is still current. In 2008 Hilton became a shearing contractor and Help’em Shearing was established.